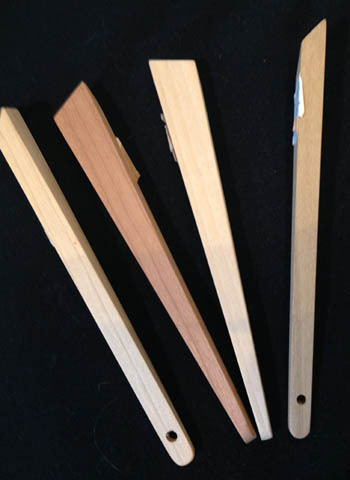 Wood finger pressers for right or left handers. Each is 5 inches long. Little hole on the end for a ribbon. Tuck into your sewing kit for on the go hand piecing when an iron is not an option.